"Our mission is to surpass customer expectations in quality, service, price, and delivery." ...we've been in the business of manufacturing high quality mailboxes since 1991. Throughout our years in the business, our product has evolved to meet the needs of our customers in quality, price, and service. Centrally located in the United States, our state-of-the-art manufacturing facility contains the entire manufacturing process under one roof. From engineering, fabricating, powder coating, and quality control to packaging and shipping, we oversee all stages of the production process personally. This control over the complete operation allows us to realize our company mission: To surpass customer expecations in quality, service, price, and delivery. Our commitment to our mission has resulted in OriginalMailboxFactory.com being known, even among our competitors, as having the highest quality products in the business! ...are first class! Our designs and innovations have been copied by many, but no one else comes close to the superb quality and the pride of construction that goes into every mailbox we deliver. We don't cut corners on our materials or labor. Each mailbox is constructed of heavy, high strength steel. We use a full swing hinge that will never bind, and our baked-on powder coated finish not only provides elegant beauty, but will last and protect your mailbox for years to come. All of the hardware used to assemble and fasten the mailbox is made of stainless steel and will not rust. Want more details? See our Products page! Our mailbox posts are made from the finest aluminum. First, because we're the manufacturer, we can give you factory direct savings. Second, all of our mailboxes come with a limited lifetime warranty that gives you the assurance you'll be pleased with your mailbox for years to come. 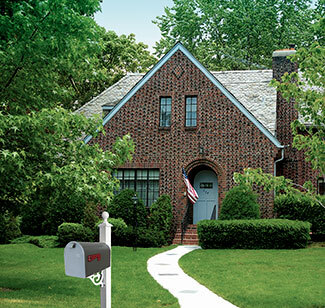 Take a look at our mailboxes and mailbox posts. We're sure you'll agree that we're offering the best product for the best value on — or off! — the Internet!